EAME is pleased to announce that it is member of British Expertise International (BEI). British Expertise is a business development organisation dedicated to assist its members in winning projects overseas, particularly within the infrastructure and international development sectors. EAME has several international offices and believes that the BEI will be able to facilitate collaboration with other like-minded companies. EAME is an environmental consultancy with offices in Iraq, Romania and Guyana who offer a range of environmental services including Environmental and Social Impact Assessment (ESIA), contaminated land risk assessment, investigation and remediation, geotechnical site investigations, metocean studies, environmental auditing and environmental monitoring. 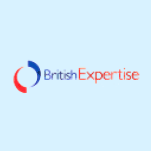 British Expertise International is the leading UK private sector organisation for British companies offering professional services internationally. We have close to 200 corporate member companies who include many of the large UK general consultants to a wide variety of other smaller consulting companies including a number of specialised individuals. Our mission is to help our members to win business internationally. EAME were pleased to attend a lunch with the Ambassador of Iraq, H.E. Dr Salih Husain Ali, organised by Strategy International. Discussions were mainly concerned with the recent Kuwait International Conference for the Reconstruction of Iraq following Iraq’s declared victory over Daesh as well as how UK companies can exploit trade opportunities. Companies in attendance included investment banks, training companies, tax advisory services and renewable energy companies. EAME’s David Wells, Technical Director – Iraq Projects, commented ‘the event was an ideal showcase for the opportunities available in Iraq for British businesses and for networking with like-minded companies. Although it is a hard and difficult market to operate and be successful in, EAME has provided that it is possible to deliver projects without comprising deliverables and quality’. David Wells (EAME’s Technical Director – Iraq Projects) explains Iraq’s battle to recover from conflict and severe environmental damage within this months Institute of Environmental Management & Assessment (IEMA) Transform Magazine. Guyana’s International Petroleum Exhibition (GIPEX 2018) is an important initiative to promote Guyana’s Petroleum Sector. GIPEX presents the investors a great way to explore the huge potential of this historic country. The event will lay the foundation to establish a dynamic relationship between the Minister of Natural Resources and the Private Sector with full co-operation from other Government Departments, all working to make Guyana a favourable and pro-business destination, a pre-requisite for boosting economic activities and achieving development objectives. EAME is proud to have been appointed by Guyenergy as the environmental consultant for Guyana’s first refinery, a state of the art 30k BPD modular plant in Linden. EAME’s MD, Steve Rowan, is attending GIPEX 2018 between the 7 – 9th February 2018 with the client team so please feel free to visit Steve on the Guyenergy stand to find out more about the project. EAME’s Managing Director, Steve Rowan, was recently invited, by the Guyana Hemp Association, to participate in a round table discussion concerning the emerging hemp industry in Guyana, it’s impact on youth employment, the Green agenda and Guyana’s long-term development in a changing global economic environment. EAME is currently working with a local agricultural company, international hemp organisation and the Guyana Hemp Association to bring full scale hemp farming to Guyana, with a view to the country becoming a major manufacturer of hemp based industrial products. 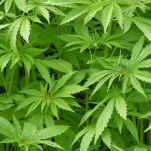 Hemp can be 100% utilised to produce a vast range of industrial products used in automotive, construction, home-ware, textile, tech and pharmaceutical sectors. Its growth and usage is a major contributor to sustainable development objectives. EAME has been involved with various infrastructure developments in Guyana since 2016 after it was identified as an emerging market with whom EAME could develop long-standing relationships and alliances. Steven Rowan (EAME MD) is the main speaker at the ‘Developing Guyana – A round table discussion’ to be held in London on 28/01/18. EAME recently attended a Strategy International lunch with the Iraqi Ambassador, Dr Salih Husain Ali Al-Tamimi, although, the Ambassador was unable to attend due to a last minute engagement, EAME found the event very useful and informative. 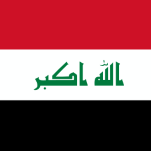 EAME was able to provide insights to its current project work in Iraq as well as providing information on companies planning to expand into the Iraqi market. David Wells, technical director at EAME, has recently published an article concerning Iraqi water security in the Chartered Institution of Water and Environmental Management (CIWEM)’s monthly members magazine ‘Environment’. 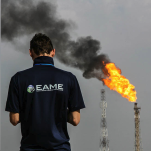 EAME has been working in Iraq since 2010 on various environmental and social projects and is well-versed with the country’s environmental and social conditions and problems and was, therefore, well placed to provide such an analysis. David reported on the country’s continuing water crisis concerning both water security and quality. Detailing the issues affecting water and the consequences on society, David also suggested potential remedial actions, such as the need for greater cooperation between riparian states. 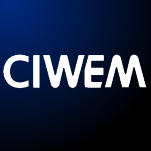 The article was well received and it is hoped that the article provides CIWEM’s members with the knowledge that Iraq is in dire need for affirmative action with climate change likely to have an significant effect on an already water-stressed environment. 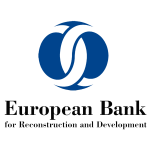 EAME was pleased to attend the recent EBRD – Emerging Europe Outlook on Romania investment conference which highlighted the opportunities in Romania with a particular focus on financial and capital markets and innovation and ICT. High level government, institutional and business representatives including His Excellency Dan Mihalache, Romania Ambassador to the UK, were in attendance. EAME recently opened an office in Bucharest after identifying Romania as an ideal market for EAME to enter as we are well placed to use our knowledge and experience to provide pragmatic solutions to legacy issues and to ensure that Romanian businesses adhere to EU environmental legislation. 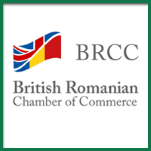 David Wells, Unit Director for Romania, was privileged to attend the annual BRCC Gala Dinner in London. Held at Draper’s Hall, the event was an opportunity for EAME to strengthen existing relationships as well as developing new contacts and networking opportunities. Congratulations to David Wells (EAME – Technical Director – Iraq Projects) who has been successful in his application to become a Chartered Scientist and Chartered Environmental and Water Manager. As part of the interview process, David presented a paper on remediation of well sites in the Kurdistan Region of Iraq.